Backup4all is an award-winning data backup software for Windows. The backup utility was designed to protect your valuable data from partial or total loss by automating backup tasks, password protecting and compressing it to save storage space. Backup4all comes in three editions: Lite, Standard, and Professional. Professional is the full edition with all features enabled, while Standard and Lite are the limited-functionality editions. It’s compatible with Windows 10, 8/8.1, Windows 7, Vista, XP and Windows Server 2012/2008/2003. For a detailed comparison between Lite, Standard and Professional visit the Compare Products page (there’s also an option on that page to “Show differences only” which will hide the options that are available in all editions). 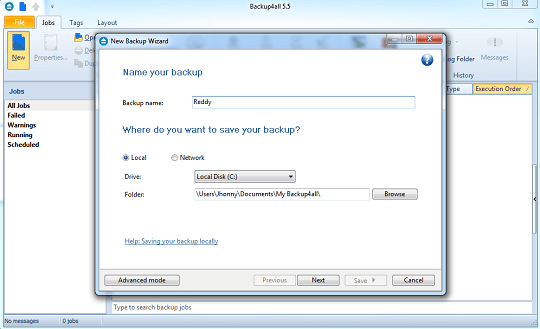 Using the software’s wizard you can easily set up any backup configurations you wish. You can define powerful file filters and schedule your backups any way you want. Once a backup is performed, you can see what files changed since the last backup using the explorer-like tree view or you can read the statistics about the next backup execution. With many other backup software programs, files that are in use during the backup may not get backed up successfully because they are locked to prevent programs from modifying the data. With Backup4all Standard you can backup open or locked files (on Windows 10/8/ 7/Vista/XP/2003), such as databases, MS Outlook personal folder (.pst), Outlook Express mail archives (dbx files) and others. When defining a backup, there is also the option to run predefined backups, such as My Documents, My Pictures or Outlook Express emails and settings. This backup application has ZIP64 support (can create backups over 4GB) and creates standard zip files, meaning that you can use it with any zip compatible utility. Backs up open files (files in use) – as an example, you can backup Microsoft Outlook without closing it first. There’s no catch, you will receive a valid license just like a client who would buy from Softland website, all you have to do is visit this page and submit your details, you will be asked to give your email address to automatically deliver license code to you via e-mail. 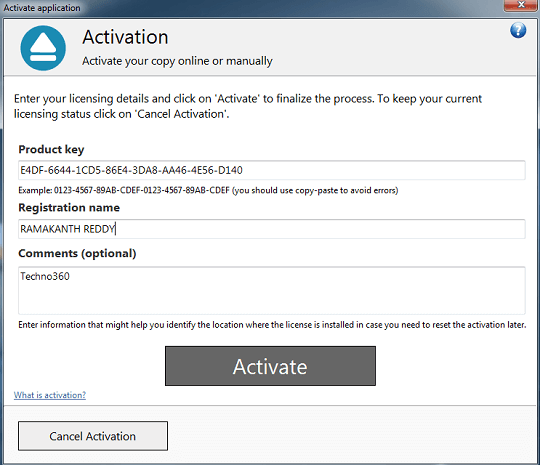 Launch the installer, finish the installation process and run the app, enter product key you received to activate the full version. Note: If you want the latest version, Get Backup4all Lite 7 for FREE. Update [27/04/2018]: Added new/ working promotion link, the original article was published on December 1, 2016.